The Swantown Inn & Spa offers a 10% discount to military (with ID) on all of our guest rooms, for stays of two nights or longer. 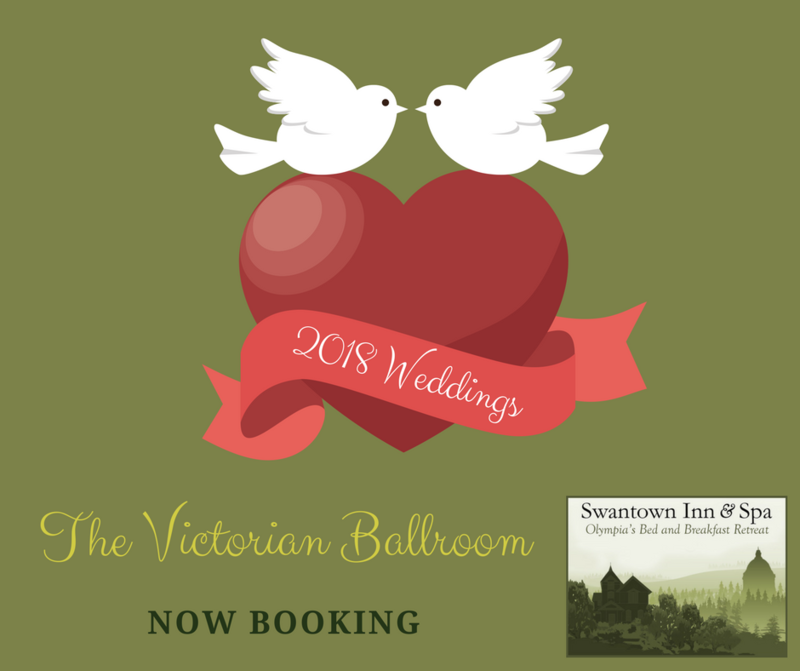 We now also offer that same discount to our Wedding Packages (excludes our Classic packages, and also packages that are modified). 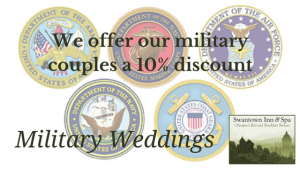 With a number of bases in the Puget Sound region we have already had many military couples get married here at the Bed & Breakfast. Olympia makes a great destination for a wedding. There is plenty for your guests to do beyond attending your wedding. If they are traveling from far away have them talk to us about adding a few days on to their stay so they can see more of the great state of Washington! We offer packages for various sizes of weddings and budgets. From our Deluxe Elopement and Destination Elopement, all the way through to our Ultimate Package.